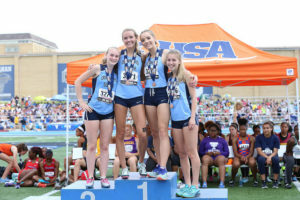 Five Mustangs earn All-State medals! 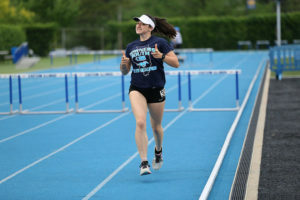 The DGS Girls Track & Field team traveled to EIU in Charleston last weekend for the IHSA State Championship meet. 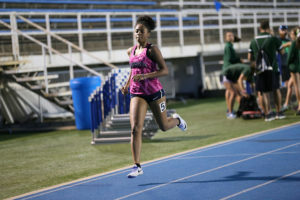 The Mustangs competed in 3 events, earning top 9 finishes in 2 of them. 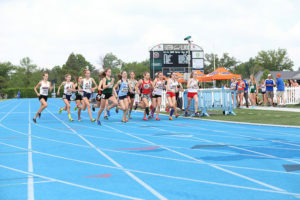 The team scored 10 points and finished in 37th place overall. 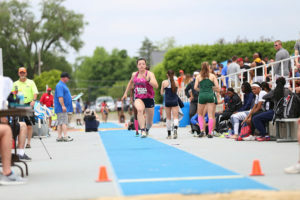 Maddie Manganiello (Sr) competed in the long jump for the 4th straight year in a row. 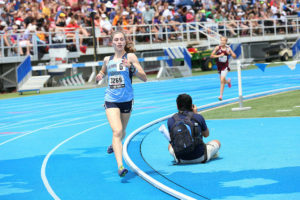 On Friday, her prelim jump of 15′ 8.5″ earned her 38th place and unfortunately did not advance her to the finals. 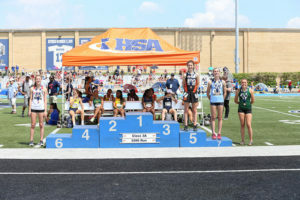 After finishing 7th in the state a year ago, this was a somewhat disappointing finish to this season, but Maddie had already cemented her position as one of the DGS all-time greats. 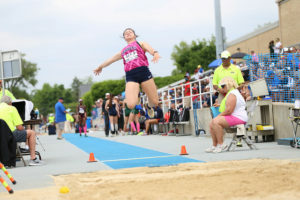 Her school record jump of 19′ 6″ will likely stand for a long time. 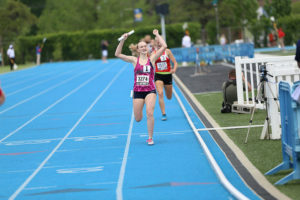 We are very proud of Maddie! 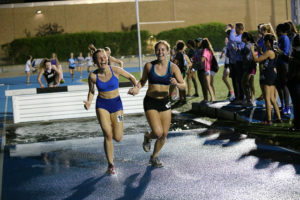 On Friday, the 4x800m relay team of Kelley Hackbarth (Sr), Becky Versaskas (Jr), Gillian Thomas (Sr), and Erin Reidy (So) won their prelim heat with a time of 9:17.60 to advance to Saturday’s finals. 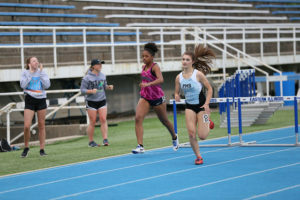 This was a hard fought win as the Mustangs battled from behind for much of the race. 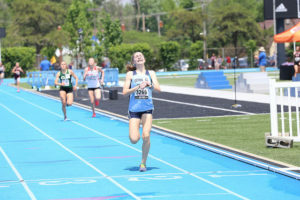 Erin Reidy took the lead for the first time with 200m to go (much like Sectionals) and finished strong for the victory. 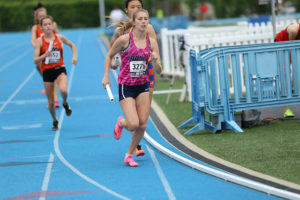 The prelim time was a little slower than the school record time of 9:12.83 that the quartet set the previous week, but it was good enough to advance as the #3 time going into finals. 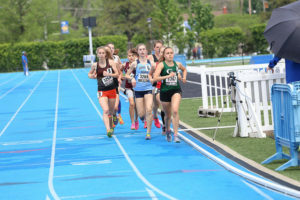 On Saturday, the 4x800m relay ran a slightly faster 9:17.20 time that earned them 3rd place in the State! 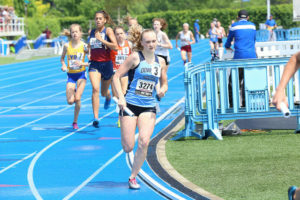 Following the relay team was Brenna Cohoon (So) in the 3200m run. 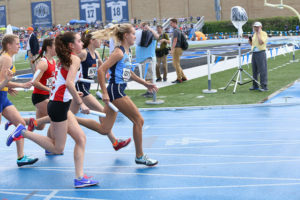 The heat and humidity was cranked up, but that didn’t stop Brenna from running a fantastic race that netted her a 7th place and All-State honors! 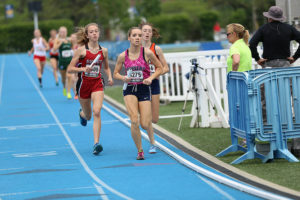 Her time of 10:49.59 was a PR and sophomore school record. 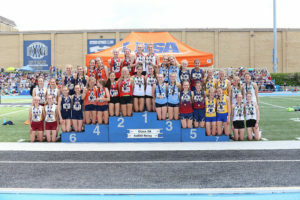 All 5 girls that raced on the track, left with a medal and All-State honors! 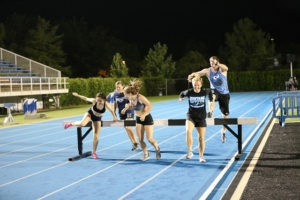 We are very proud of all of them! 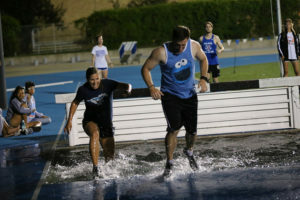 On Friday night, EIU hosts a race under the lights. 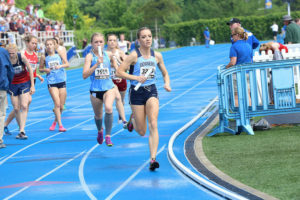 Traditionally all of the girls who come to support the team, and alternates for the state meet compete in the various races. 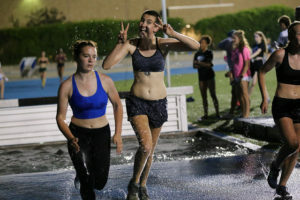 As you can see, fun was had by all. 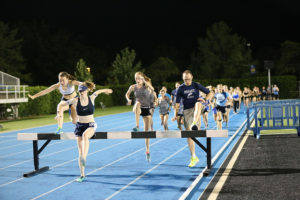 Thanks for a great track season! 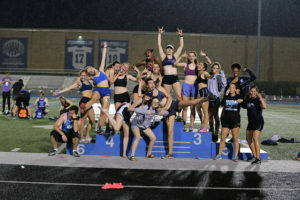 Previous Previous post: Girls Track is State Bound!